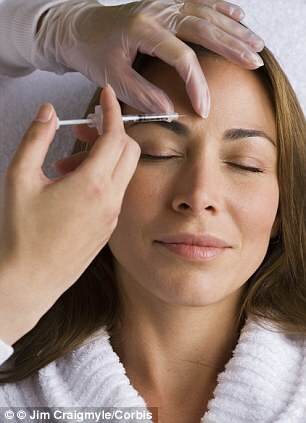 78% of women want Botox for Valentines Day! With Valentine's Day just around the corner, men are picking their brains over the perfect way to say 'I love you'. 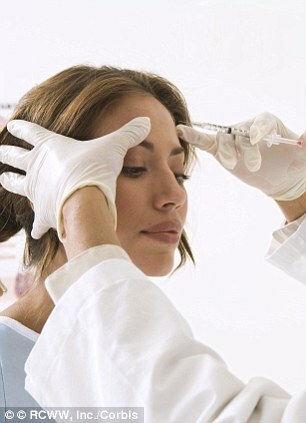 Nearly 80 per cent of women want Botox as their present this February - with 78 per cent saying they'd be 'impressed' if their partner treated them to it, according to research. The study also looked at which cosmetic treatments women would like to receive for Valentine's Day - with dermal filler, botox and tooth whitening topping the list. On the opposite end of the spectrum, women would hate to receive - men, are you paying attention? - laser hair removal, skin tightening and leg vein removal this year. Men have even been scouring the net for advice, with one cosmetic surgery and treatment review website seeing a rise in enquiries from loved-up men seeking advice on whether they should respond to their partners' anti-ageing concerns. New research reveals the number one question from men was: 'Which aesthetic treatments can I give as a Valentine’s Day gift without offending her?'. Speaking about the results, a spokesperson for Good Surgeon Guide, who carried out the study, said: 'While our general opinion is that gifting cosmetic surgery or aesthetic treatments is not good idea, it cannot erase the fact that people still feel compelled to give and receive them. 'We recommend that men who choose to give cosmetic treatments for Valentine's must understand how the gift may make their partner feel, especially if it's a surprise.